At The Village Orthodontist, we’re proud to use the most advanced orthodontic technologies and treatment methods to help each patient we serve obtain the healthy and attractive smile they deserve. We’re proud to be the first orthodontic practice in all of Frederick County to incorporate SureSmile® technology and i-Cat® 3D digital x-rays. 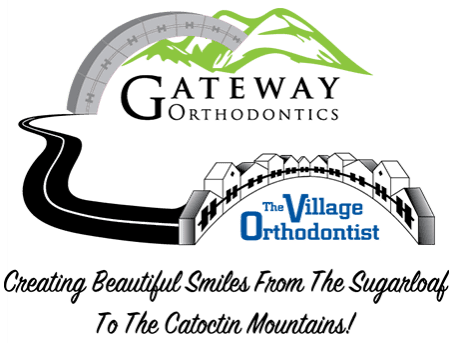 Whether you’re looking for a children’s orthodontist in Frederick MD to begin early treatment, or are interested in improving the appearance and health of your own smile, you can rest assured that we can provide you with the high quality, individualized orthodontic care your family needs and deserves. Dr. Moles and his team are dedicated to providing our patients with state-of-the-art orthodontic appliances, techniques and technologies. Treatment today is quicker, more precise, more efficient and more convenient than ever before. Below you’ll find an overview of the technologies we use here at The Village Orthodontist to help our patients achieve their best smiles! The digital iTero Scanner we use at our office replaces the uncomfortable, messy and sometimes inaccurate traditional putty impressions that often cause gagging. Using this digital, handheld scanner, we can capture highly detailed 3-D images or impressions of your teeth and bite while you sit back and relax. We use the captured images to help plan your treatment and to create customized bracket trays which we use to place brackets on your teeth, all at one time, for better efficiency and overall effectiveness. Check out our iTero Scanner page for more information. SureSmile® combines Dr. Mole’s expertise with the power of 3D visualization and the precision of advanced robotics. With SureSmile, the creation, structuring, placement and analysis of your braces are worked out completely before the braces are placed on your teeth. With SureSmile, we begin by capturing detailed 3-D images of the teeth which Dr. Moles uses to plan the precise movement of the teeth. The SureSmile software calculates the wire bends needed to efficiently and directly move the teeth into their proper places, based on the your individual treatment plan. This means you spend less time wearing braces, have fewer orthodontic appointments to keep and can enjoy more comfortable treatment. The Village Orthodontist's SureSmile page has more information about the technology. Dr. Moles uses the revolutionary iCat Cone Beam 3-D Imaging System to provide patients with a comprehensive and detailed treatment plan. Once the extremely detailed scans of teeth and bite have been captured, Dr. Moles uses the scans to analyze and plan your treatment and to show you what problems have been detected so you can make informed decisions about your course of treatment. In just a few seconds, this CT technology can provide a wide range of 3-D data to help Dr. Moles make a very effective and precise diagnosis. We use iCat Imaging in our Frederick, MD office to help give patients the most efficient and effective treatment possible. SPEED Braces eliminate the need for traditional “colors” or elastic ligatures to complete the coordination between bracket and wire to straighten the teeth. Instead, SPEED Braces use a component called a 'Spring Clip' to create the force between bracket and wire. The Spring Clip, made of a 'Super-Elastic' metal, applies a light continuous force to gently move teeth to their correct position. This results in less discomfort and fewer appointments. SPEED Braces are smaller than traditional brackets and SPEED's small footprint and all metal design results in less food trapping, so good oral hygiene is easier to maintain throughout your treatment. Using a sterile, disposable, one-time-use PROPEL device, we will create a small, micro-pierce into the jaw bone. The device has an adjustable depth dial, so we can control how deep the surgical steel tip penetrates. It’s also ergonomically designed, so we have better control, resulting in a virtually painless procedure. This quick, 5-minute process will help speed up your orthodontic treatment, making it more efficient and effective! If you want to learn more, visit our Propel page. VPro 5 by Propel Orthodontics uses gentle vibrations to help speed up your Invisalign treatment, and ensure you're on the right track with your aligners. It's totally portable, and can help our patients achieve outcomes even faster. To learn more, check out the video below.